This dish is beautiful. 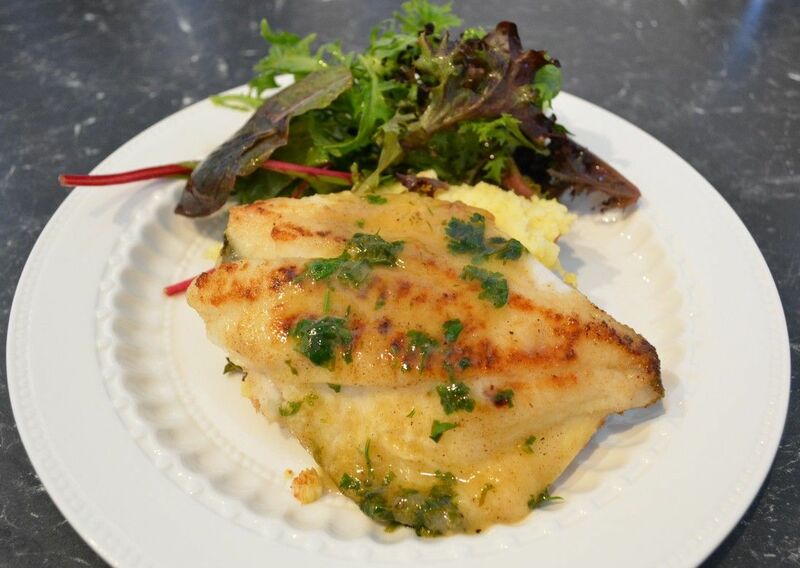 The John Dory, it melts in your mouth, it is delicate and every bite is delicious​. This is a great recipe for novice cooks, it is simple and impressive. 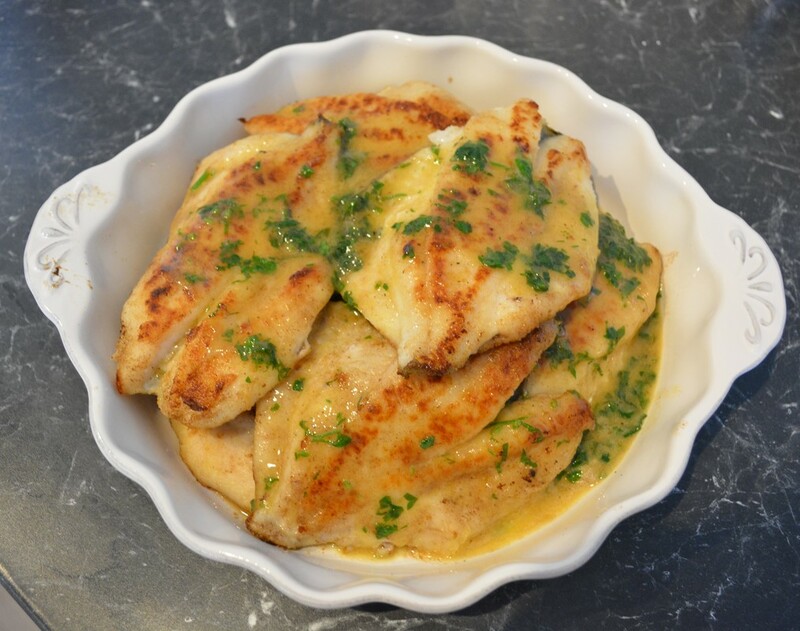 This sauce is a classic fish à la meuniere, it is made of butter, lemon and parsley. Meunière (pronounced mun-yair) is one of the simplest sauces there is. It's typically served with fish just like in this recipe, that has been lightly floured and then sautéed for a light, flavorful, elegant dish that's easy to make. The flour helps give the fish a crispy exterior, and the sauce is lemony and buttery. It's hard to beat crispy, buttery, lemony fish. Just take care not to burn the butter when you're making the sauce — cook it just enough so it's golden and tastes nutty. 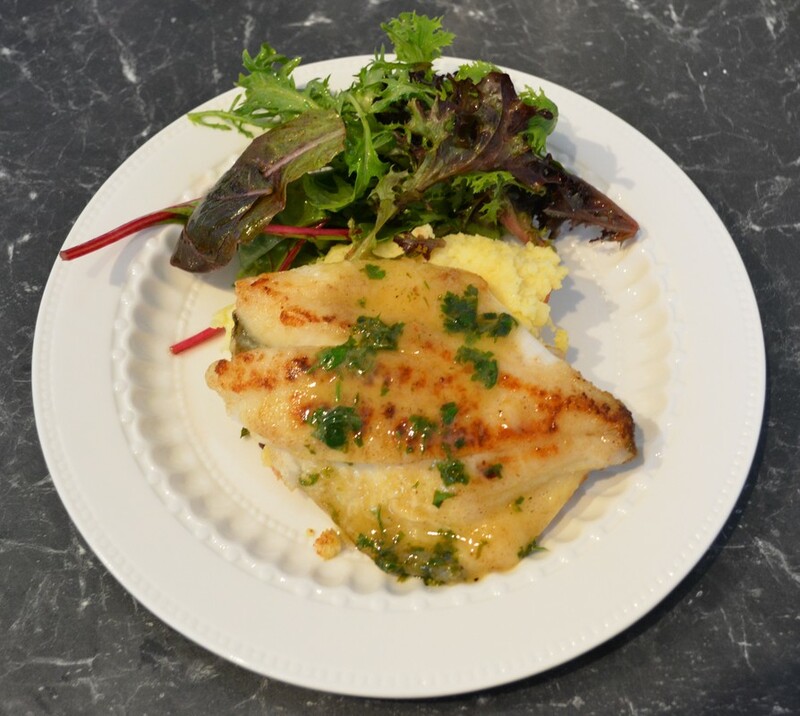 Now John Dory is not the cheapest fish to buy, you can substitute with other fillets, just make sure you buy similar sized fillets, so they all cook at the same time. This sauce will work nicely with sole, cod or any other lean, firm fish. Meunière is also a lovely way to prepare scallops, prawns or even trout. If you need to double the recipe, make one batch of the fish and either use a different pan for the second batch or wipe your pan clean, between batches. The flour and butter will burn too much if you want to make two batches in the one pan without cleaning it, and try to use a pan that will fit the fish perfectly without having too mach empty space, but not too small that the fish is overcrowded. ​So if you a looking for an easy dish that is absolutely delicious, you really nee to try this. Season fish with salt and pepper, to taste. ​​Pat fish fillets dry with paper towel and dust with flour, shaking off any excess. Melt half of butter in a large frying pan on medium heat. When starting to sizzle, add fish fillets and cook for 2 minutes each side, until tender and golden. Remove to warm plates. Add remaining butter and lemon juice to pan, increase heat to high and stir for 1 minute, until well combined. Stir through parsley. ​Pour sauce all over your fish either in a large platter or individually served. Serve your fish with lemon butter sauce recipe with steamed or mashed potatoes and green beans or a green salad.